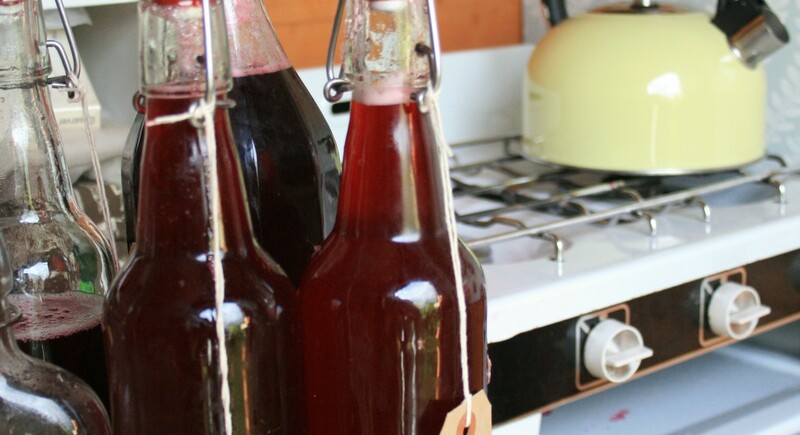 But in the mean time I just wanted to share some cordial recipes using foraged sloe berries and cherry plums. Where did you you get the bottles Katie? Love your cooking show in the shed!!! Don’t buy a stand for your Muslin just use and upturned stool four legged better than three. Tie with string tie wraps or strong elastic bands a each corner of a square muslin to each leg. Place the bowl underneath and pour mix into muslin. You can do whatever you like then whilst it drips away and you get the maximum amount out of the berries. Telling all my Friends about Lavendar and Leeks it’s fab!!!!!! Hello Penny and thank you so much for your comment! Hi Katie. I really enjoyed your first cooking video! You made it interesting and informative, but what I liked best is how naturally you talk to the camera and the homey feeling from your shed and little stove. I don’t know that I’d change a thing :-). Thank you.what a lovely video I have been inspired to make some. They do say fruit cordial is a good winter tonic and a teaspoon in hot tea works too. Yay! Well done you! I never realised how easy it was and now my shelves are full of the stuff 🙂 Thank you for watching the video and enjoy your homemade goodies! What a lovely blog. I have just got my own allotment (very excited) and what an inspiration you are : ). Please keep up the good work. I might just have to go foraging tomorrow now too! I have just returned from our family holiday and I am very impressed with my fix of Lavender and Leeks! There is lots of apples about this year for foraging. 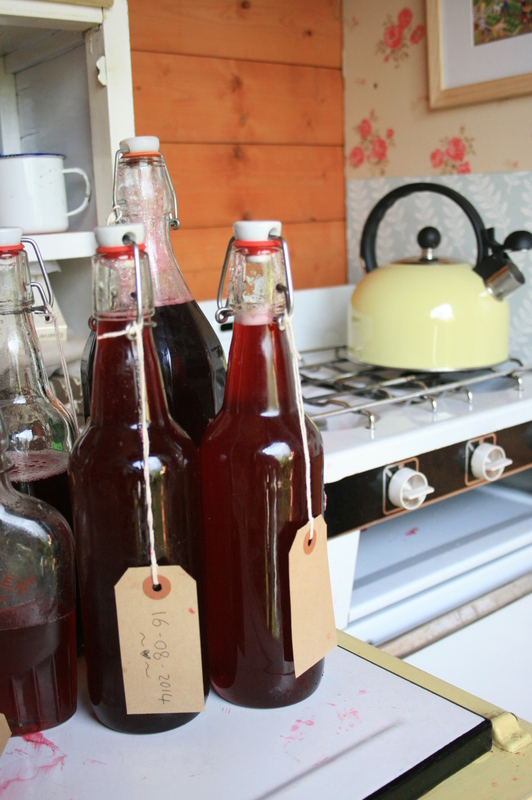 I love making cordials as well, I saw somewhere a recipe for rhubarb cordial which is on my to do list. Once again fab video Katie, great work. Hi Can you tell me if the pulp from the Sloe is green and a bit sticky like its almost a jam already? I found a bush today and wanted to check it was a sloe, my husband said the berry was bitter, but i found it more of a dry taste. Hello and so sorry for the late reply! The pulp is indeed green and the sloes don’t taste very nice raw. They looks almost like blueberries, a dark purple/blue colour and around 1.5cm. I think I have a photo somewhere on the blog and on Instagram.